Channel Three Productions has been committed to High Definition for many years. With our two AGHVX-200 cameras that we purchased in 2006, we have completed a host of high-profile projects for state and city government, corporate communications and TV spots. We’ve listed some of the highlights from the past year below. The HVX-200 hand-held High Definition cameras record in DVC PRO-50 in 480, 720 and 1080p, with all the variable frame rates including slow-mo and time lapse effects recorded directly with the camera, allowing effects to be shot and seen immediately without the need for post-production. The tape-less recording option using P2 technology reduces editing time as the footage is transferred quickly in the field rather than digitizing from tapes in an editing suite. Using a Mac or PC laptop, the DVCPRO-50 HD material can be edited in the field because no expensive bulky playback decks are needed. 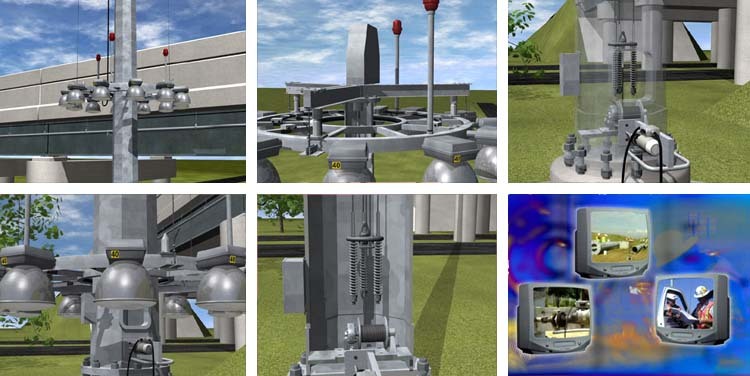 This package offers our clients a high-end option well below industry HD production rates. The HVX-200 also records broadcast-quality standard definition in DVC Pro-50 on the P2 cards or on DV tape. 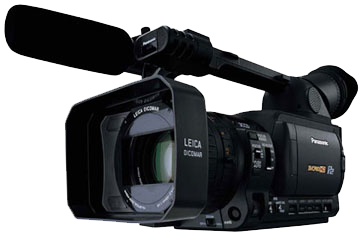 The footage can be shot in 4:3, letterbox or wide screen format and in 24p, 30p or 60i modes. In January 2008, Channel Three Productions wrapped up a high profile project, entitled, “Arlington: City of Champions.” Competing among the top production companies in Dallas, Arlington, Irving and Fort Worth, Channel Three was honored to have been chosen to produce this noteworthy video. Utilizing breathtaking High Definition time-lapse photography, the video depicts the construction of the new Cowboys Stadium in Arlington, which will open in 2009 and was announced as the home of Super Bowl 45 in 2011. This coincides with other ambitious projects the city is undertaking in their famed Entertainment District and throughout the city. In addition to extensive photography of the new stadium, Channel Three Productions shot new video of the Ballpark in Arlington, Six Flags, Hurricane Harbor, General Motors, Siemen’s and the many great museums, shopping centers, parks and neighborhoods throughout this vibrant and diverse city. Shortly after embarking on the Arlington video, Channel Three had the honor of being selected as the producer of new promotional video for The Town of Addison. “Your Life, Your Movie” takes a day or two in the life of a few diverse Addison citizens and visitors who like to live it up and live it large in this compact town of art and commerce. A town that one can truly live, work and play in — all within walking distance, Addison is an ideally well-planned town that most cities aspire to. Utilizing our signature time-lapse photography, sweeping crane and dolly moves and a dynamic cast whose lives intersect one another throughout the piece, our intention is to depict Addison as a town that can bring your vision to life. The video also includes High Definition photography we have captured throughout the year at Addison’s signature events such as “Taste of Addison”, “Kaboomtown” and “Oktoberfest.” Each event was also chronicled in separate videos. Highlights from Oktoberfest, for example, were broadcast at the sister festival in Germany. This project has spun off customized promotional DVD’s for many of the leading hotels and restaurants in Addison. Restaurants such as Chamberlain’s Prime Chop House, Chamberlain’s Seafood Grill, Texas De Brazil, Nate’s Seafood, and Avanti’s are some of the many popular restaurants that participated. The Marriott Quorum by the Galleria was the first of the participating hotels to have their own version produced for web advertising and in-hotel programming. In March 2007, Channel Three was awarded a new video project for the State of Arkansas, co-sponsored by the Alcoholic Beverage Commission and MADD. 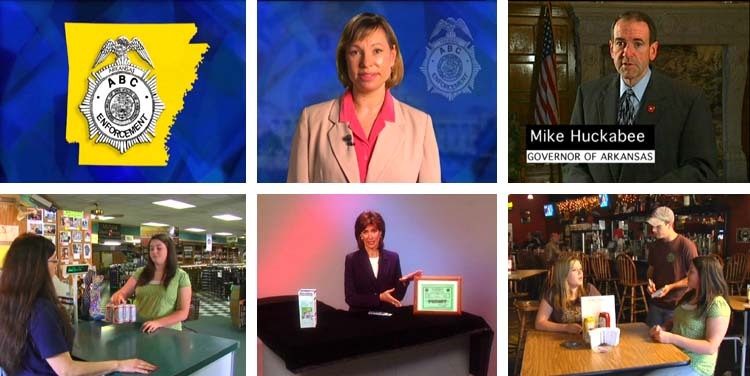 The video is being used to train ABC officers and volunteers on conducting compliance checks at establishments in order to ensure that alcohol sales are not made to minors and features scripted vignettes with underage buyers and undercover agents interacting with waiters, bartenders and liquor store clerks. Channel Three was first selected by Arkansas ABC in 2004 to produce a video that was distributed to over 4,000 alcohol retailers and restaurants across Arkansas. “Reducing Alcohol Sales to Minors,” included vignettes as well as testimonials from ABC officials and the current governor at that time, Mike Huckabee. Since 1999, Channel Three has been privileged to be under contract with The Texas Department of Transportation in creating several dozen electrical training and safety videos for TxDOT inspectors and construction contractors. We received a double Telly Award in 2002 for the “High Mast Pole Series,” which was awarded Telly’s in the categories of Safety and Animation. Productions completed in the past year include “Introduction to the Cobrahead Luminaire” and a completely updated version of “Inspecting Electrical Conductors.” Currently we are finishing a video on the new “Induction Fluorescent Fixture” which will offer a considerably longer bulb life, saving maintenance time, tax money and ultimately our planet. Dr. Paul Baker, the founder of the Dallas Theater Center in 1959, has been one of the most influential forces in theater. In 1976, he formed the leadership for Dallas’ Arts Magnet High School, now known as Booker T. Washington H.S. for the Performing and Visual Arts. Channel Three Productions filmed an extended interview in High Definition with this Texas legend (now in his 90’s), along with his daughter, Robyn Flatt Baker, Artistic Director of Dallas Children’s Theater and two long-time educators at BTW High School, Louise Smith and Brent Hasty. Dr. Baker spoke about “Integration of Abilities,” his methodology for integrating creative, design and performance skills. Brad Ruekberg, DP of this project and President of Channel Three Productions, was fortunate to have studied under the legendary director and educator at the Dallas Theater Center’s teen program and at Booker T. Washington. The interview will be part of a living history video project Channel Three has undertaken that began with the creation of the initial fundraising video for the school’s capital campaign in 2003. A historical landmark that was once part of a pilot desegregation program, the school is now the jewel of Dallas’ Arts District. The newly renovated building and brand new performance space are scheduled to open in 2008.